★—100% brand new and high quality. 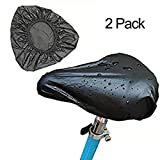 ★—elastic bike seat cover which can stretch snugly to fit all kind of bicycle seats, there is never have a grimy, wet, sun damage seat again. ★—High quality and waterproof material with maximum endurance for durable use. ★—Easy to install and will be firmly secured in place with long service life. Washable and reusable. ★—Protect your bike seat from dirty, mud and any physical hazards when parking outside or inside. ★—Elastic stretch system covers around your bicycle seat perfectly, fits for most seats. ‘* If you have questions, feel free to contact “LtrottedJ”- as soon as possible we will feel happy to help, is available in our shop. Thanks. ♥Elastic stretch system covers around your bicycle seat perfectly, fits for most seats. 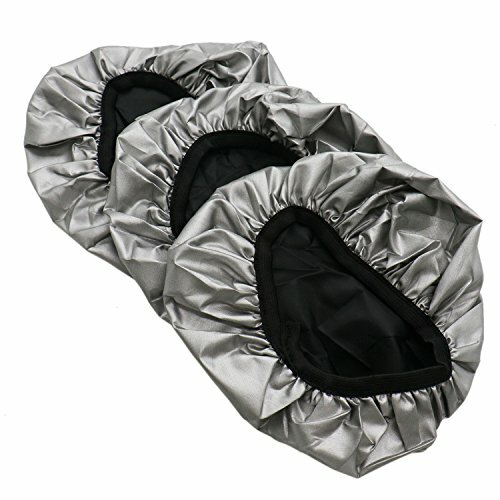 ♥Protect your bike seat from dirty, mud and any physical hazards when parking outside or inside.